The restock of the all coconut oil soap has been made. This natural soap, made only with pure coconut oil, is mild, gentle and beneficial for any type of skin. 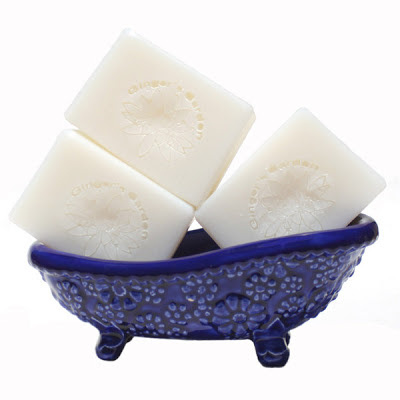 The scent of the virgin coconut oil does not come through the final soap, so it is unscented. It's a beautiful, snow white bar that is nice and hard. So if your skin is sensitive, buy this soap, as it contains no artificial colors, synthetic fragrances or no lab made surfactants. It is available at Ginger's Garden Handmade Soaps.